CSG Rotary Welcomes Our Newest Member! 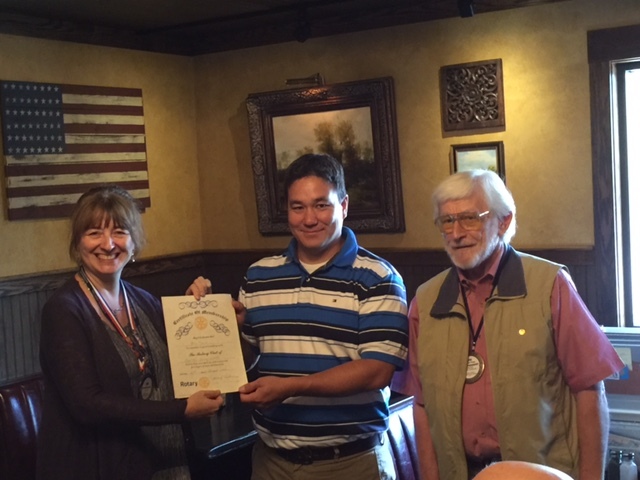 Camillus-Solvay-Geddes President Kimberly Frodelius and Vice President Joe Gryga welcome our newest member Ben Mack. The club is growing by leaps and bounds! ← CSG Rotary Club Welcomes Our Newest Member!